Are you sure? I can find plenty! Simple. They forgot to add "huge" at the beginning of their search. Geez why can't anyone find me?! To bad facebook is the new myspace for these people... can't someone make an emospace and we can ship them to a separate internet? 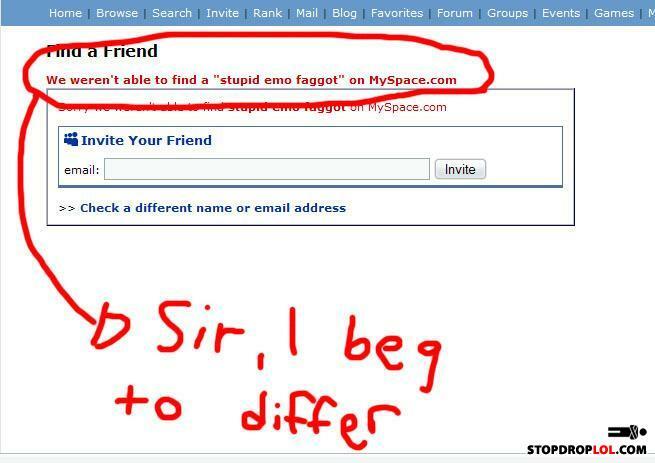 Really... myspace can't find tom? The guy who posted this it's a extremely idiotic person, I bet if I searched up dumb*** lowlife I'd find him.